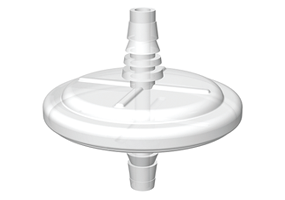 The Vent Filters for Carboys are used for hydrophobic venting and solvent filtration applications. The PTFE filter membrane makes it ideal for maintaining purified water stored in carboys. But can also be used for terile venting during a slow exhaust/liquid autoclave cycle of EZgrip carboys. All materials comply with USP Class VI standards, and are autoclavable up to 10 times. Hydrophobic PTFE membrane is reinforced with polypropylene housing and features a stepped hosebarb. 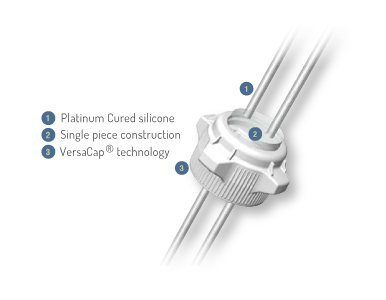 ​Available in Non-sterile 1.00µm, 0.2µm pore sizes with platinum-cured silicone tubing, or in bulk packs (without tubing). To further discuss the Vent Filters and Carboys range, and how we can help you. Please contact us, or request a callback at a convenient time to suit you.